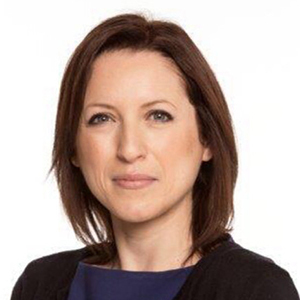 Charlotte Turnbull is Director of Digital Strategic Projects for Sky UK, based out of the company’s Osterley campus. After starting her career as a consultant at Accenture, she joined Sky seven years ago, and has worked in commercial roles across the business, from pricing strategy through to content performance. Charlie recently returned to the digital team where she is responsible for strategy, insight and analytics for Sky’s digital products. Outside of her love of TV and film, she feels passionately about creating diverse, inclusive cultures and is the Women in Leadership lead for the Group Product, Digital and Supply Chain directorate, working with the Group Chief Product Officer to attract and nurture the team’s future female leaders.